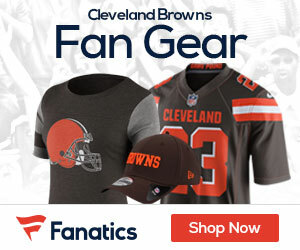 « Poll: Who Wins the Ravens at Browns Week 9 Battle? The Browns have won two of their last three, both of which at home, and have a shot Sunday to continue their recent success, but will have to do it against one of the AFC big boys in the rival Ravens. Coming off their bye week following the franchise’s worst loss in five years, the Ravens try to sweep the season series from the Browns for the fifth straight year. The first-place Ravens (5-2) have had plenty of time to mull over a 43-13 loss to Houston on Oct. 21, the franchise’s worst setback since a 31-point loss at Pittsburgh in 2007. The loss to the Texans was the fourth defeat of 20 points or more since coach John Harbaugh took over in 2008, and in each previous instance, Baltimore bounced back with a win. Playing without the injured Ray Lewis and Lardarius Webb, Baltimore has allowed 400 yards in back-to-back games for the first time since 2009. The defense has been brutal against the run, allowing an average of 142.9 yards to rank 30th in the NFL. That could be good news for Browns RB Trent Richardson, who last week took over vs the Chargers, scoring the games only TD when the Browns beat San Diego 7-6. The rookie back went for 122 yards, and could be the biggest factor for the Browns offense Sunday, and keeping him going vs the Ravens D will be a huge key. Brandon Weeden continues to show improvement, and had thrown two touchdown passes in three consecutive games before last week’s win over San Diego in wet, sloppy conditions. In his first look at the Ravens, the rookie threw for 320 yards with no touchdowns and one interception. While the Ravens are looking for more consistent play from Joe Flacco, they’re also hoping to get Ray Rice back on track after he ran for a season-low 42 yards against Houston. Ray Rice is fifth in the AFC with 74.9 rushing yards per game, but managed just 49 yards on 18 carries against the Browns in September. The Browns have allowed an average of 146.0 yards on the ground in four games since. Cleveland’s defense could be getting a nice boost, though, with the possible return of injured starting tackles Ahtyba Rubin and Phil Taylor. 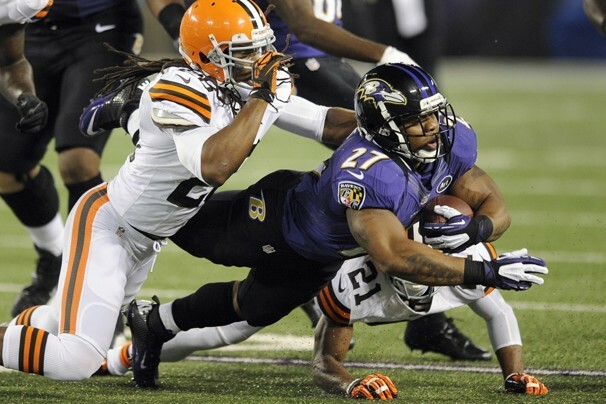 The Ravens have owned the series, and even with the Browns playing better, it won’t be enough to get a win Sunday.